Welcome to Reed Performing Arts Company! Please complete the following registration form. Welcome to Reed Performing Arts Company! At RPAC we "aspire to inspire" dancers of all ages to become successful and confident; using dance as a teaching tool for lifelong lessons. We are excited you are joining our team! Classes begin after Labor Day on September 4th and conclude May 26th. Our annual Showcase of Talent is within the first couple weeks of June and the date will be announced at a later time. Should dancers miss a class, they are welcome to make it up. Please ask your instructor for make-up times. For our recreational classes, students should wear proper dancer attire. Leotards, tights (not mandatory), half-tops, dance shorts, and dance skirts are all considered acceptable dance wear. Dancers will need ballet or jazz shoes and tap shoes for class. Any style and color is okay. If you need recommendations on what to purchase please ask your instructor. For ballet/ pointe, dancers should wear solid colored leotards with pink tights, ballet shoes, and hair in a bun. Please minimize holes in the tights. For jazz/tap/contemporary classes dancers need to wear dance shorts, leotard, or sports top for classes with hair pulled tightly out of their face. No baggy clothes. Students are expected to attend all classes.. In case of an absence, please send Whitney an email at rpacstudio@gmail.com. RPAC will not refund tuition, apply credit, or deduct money for missed classes. Students may make up absences with any other class at RPAC if there is another age appropriate class offered during the week. 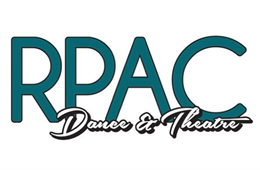 RPAC will not offer private lessons as a way to make up a missed class. Please make every effort to be in attendance to each and every class. Please be punctual to classes. Classes will begin and end at their designated times. RPAC is not responsible for providing before or after class care for students. Students are not to be left at the studio for excessive time periods before or after their classes. I hereby authorize the Director/Teacher and agents to act for me according to his/her best judgment in any emergency requiring medical attention and I hereby waive and release the Director/Teacher and agents from all liability, claims, losses, or damages on the minor's account caused or alleged to have been caused by the negligence of the Director/Teacher and agents, and as parent or natural guardian will indemnify and hold harmless the Director/Teacher and agents of any expenses, fees, losses, or damages which may be incurred as a result of any such claim. As the legal parent or guardian, I give permission to Reed Performing Arts Company, its owners and operators to seek medical treatment for the participant in the event they are not able to reach a parent or guardian. I hereby declare any physical/mental problems, restrictions, or conditions and/or declare the participant to be in good physical and mental health. Students being treated for an injury that occurs inside or outside of the studio (at school or another activity) must show a doctor's release before continuing dance activities. All Recreational Classes will participate in our annual Showcase of Talent (Recital). They will wear one costume and perform two routines, a tap and a jazz. The Showcase of Talent rehearsal will begin at approximately 9:00am on the day of the performance. with the Showcase of Talent beginning at approximately 6:30pm. All dancers have the opportunity to participate in the annual Father/Daughter dance. More information will be released as the time gets closer. There is a $65 recital fee, which includes one t-shirt for the dancer. Additional t-shirts are available for purchase. The cost for all recreational classes recital costumes is $70. All costume and recital fees are non-refundable. I hereby give my permission to Reed Performing Arts Company to photograph, video, film, and/or audio record my child and/or me. I consent to the use of such materials for all uses including, but not limited to: recital videos, class photos, and all promotional materials including the RPAC website, Facebook page, and instagram page. The release is granted perpetuity. I hereby authorize Reed Performing Arts Company to process my credit card when paying online. I have read the POLICIES AND PROCEDURES, the RELEASE OF LIABILITY, the MEDICAL AUTHORIZATION, the additional information about SHOWCASE OF TALENT AND COSTUMES, PHOTO, VIDEO & AUDIO CONSENT, and the EPAYMENT AGREEMENT. I VOLUNTARILY affix my name in agreement.